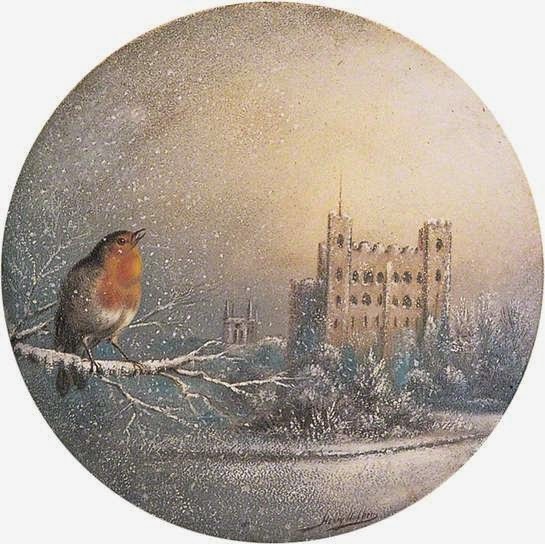 From what I can gather from the interweb, Mr Hopper was obsessed by Rochester Castle as those were the only pictures that made it into a public collection. I'm sure he did other things too, judging by that little robin. Those of you who are members of The Stunner's Boudoir on Facebook will know that Lily-Rose (daughter who is soon 9) asked me to write her a Christmas story for Christmas Eve bedtime and she specified that it had to be about a Fox and a Robin (such natural friends) and involve a big wood. Well, she and I managed to create a story and it will be here on Christmas Eve as the final post of Blogvent. It will be her bedtime story, but I can't manage to come round all of your houses and tuck you in so you'll have to use your imaginations. Pressie suggestion today is something very close to my heart, quite literally. When I visited Paris a couple of years ago, I bought a necklace which was a copy of the brooch Fanny Cornforth wore in The Blue Bower. I noticed that the Musee D'Orsay's shop still has the earrings and bracelet from the set and have them on sale. If you fancy a bit of Rossetti sparkle, head over here and get a rather lovely bargain.